We are pleased to announce the availability of a slightly modified version of the ReQoL which accommodates minor modifications in order to provide conformity of the recall period used in the instrument. The minor modifications to version 1.1 apply to both the ReQoL-10 and ReQoL-20 and are shown in the links above. The measurement properties of the ReQoL between version 1.0 and version 1.1 remain unchanged. Users can feel confident that comparison of results from version 1.0 completed ReQoL’s will be equivalent to those acquired using version 1.1. It is optional as to whether you change from version 1.0 to version 1.1, there is no issue regarding comparability of scores with version 1.0 and 1.1. Users will not need to request a new licence, as a previous or existing licence will cover the use of version 1.1. The sample copies can be downloaded from the menu on the right hand side of the page. 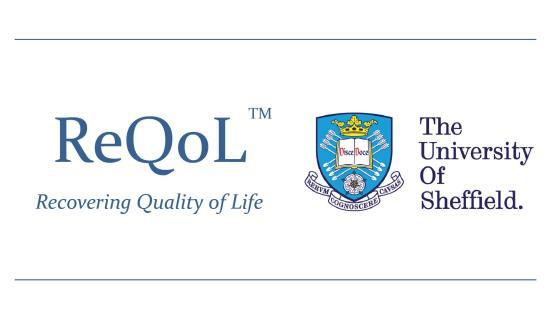 The ReQoL measures are free for the NHS and publicly funded research.